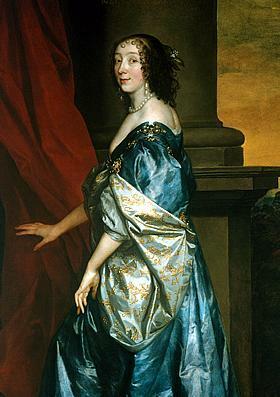 Tate Britain has a sumptuous Van Dyck exhibition looking at the great 17th century artist and his impact on our country, its artists (and, we hope, its hairstyles) opening today. Fans of modern Iranian art are in for a treat at the British Musuem, as Takhti: A Modern Iranian Hero opens examining a single work by Iranian contemporary artist Khosrow Hassanzadeh. The display coincides with the Brit Musuem's big new show, Shah 'Abbas: The Remaking of Iran, which opens tomorrow. And Thursday sees the start of Le Corbusier, The Art of Architecture at the Barbican. We've warned you about the coming Le Corbusier love-in before. Finally for London's art and exhibition diary, Hats: An Anthology by Stephen Jones opens on Tuesday at the Victoria and Albert Museum. You can see hats worn by Madonna and Audrey Heburn, Queen Victoria's bonnets, Dita Von Teese's fascinators and more in this exhibition curated by the famous milliner. Theatreland's less busy with openings this week. Our tips include Shakespeare's The Merchant of Venice at the Rose in Kingston from today and Go To Gaza, Drink The Sea at Theatro Technis, opening tomorrow. Opera North are in residence at Sadler's Wells too this week, which is sure to be great. So long, farewell, etc. It's been around since 2006 (doesn't that make you feel old?) but The Sound of Music closes its run at the London Palladium on Saturday, making way for more nuns in Sister Act in the spring. Complicit limps its earplugged way to the finish line at the Old Vic on Saturday this week. We wouldn't recommend it. Saturday is also your last chance to see Caryl Churchill's Seven Jewish Children: A Play For Gaza downstairs at the Royal Court. Finally, get in while you can (we think there are some tickets left for the matinee): David Hare's Gethesemane closes at the National next Tuesday. If we've missed anything, let us know!